InTruBeauty: The Perfect New Foundation for Summer...or Whenever! The Perfect New Foundation for Summer...or Whenever! I pretty much went from a girl who never wore foundation to one that is obsessed with it whether it be liquid foundation, tinted moisturizer, BB cream, pressed powders, or tinted sunscreen....I love them all! So with warmer weather heading this way I've been thinking a lot about the products I do have and how they are going to hold up on hot sticky sweaty summer days. There is nothing worse than feeling like your foundation is too heavy on a hot summer day. 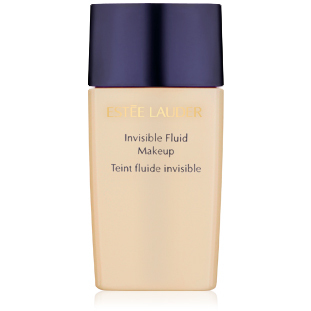 That is why I was super excited to find out about a new foundation from Estee Lauder called Invisible Fluid Makeup. This is probably the lightest foundation product I've tried. It seems to glide right onto your skin like silk with the lightest feathery feeling. The lady at the counter described it as an "air brushed" finish. My shade is 2CN2. I was matched by the woman at the cosmetics counter perfectly. Don't be shy to go up and ask them to match you and if you can try a sample. They will usually give out a 7 to 10 day supply for free. IntuiTone™ technology guarantees your true-to-life shade. Skin looks fresh, flawless, radiant. Comes in many color selections. Visit a counter or their site online to find your perfect color. I would classify the coverage as light to medium. This will definitely be enough to even out your skintone while still looking very natural. For light coverage, apply with your fingers. For medium coverage, apply with a foundation brush. This is buildable to a certain extent. I would say this is going to last you at least through a typical work day. By the end of work yesterday, I noticed it had faded some, but today the foundation stayed on even longer. There is no fragrance and I had no irritation. If you are looking for a super light weight foundation for the summer, this is absolutely perfect. This is also the perfect foundation for women that don't necessarily like to wear foundation, especially liquid foundation. I've read reviews where a lot of older women say this is very forgiving for their skin and has made them come back to liquid foundation. This is also perfect for those of you trying to achieve a natural no makeup look. Since this glides on like silk, you don't need much of the product. It may seem super pricey, but actually $35 for a high end foundation actually isn't too bad, especially when you know you will be using this daily. 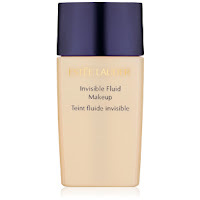 One of my other favorite foundations is Estee Lauder Double Wear Light, so I definitely trust them when it comes to foundations. I also made sure to ask the sales person when their gift with purchase is because paying this much for a foundation but getting a gift with purchase makes that much more worth it! I believe Macy's is having their GWP around June 5th for Estee Lauder. Have you tried this yet? What is your favorite summer foundation? I was just looking at this online today. I'm going to try and pick up a sample this weekend.